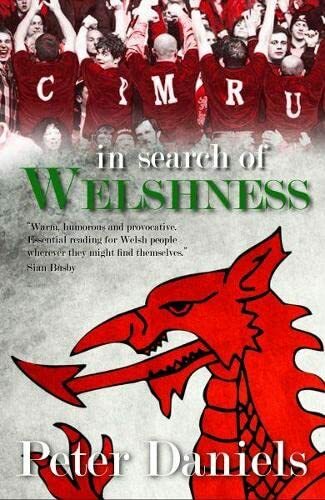 In Search of Welshness - Recollections and Reflections of London Welsh Exiles by Daniels, Peter: Y LOLFA 9781847713629 Trade Paperback - Dufour Editions Inc.
Synopsis: What exactly is it to be Welsh? Is it singing your heart out at Parc y Scarlets on a cold rainy Saturday? Is it the warmth and friendliness of a people bound together by their industrial and cultural heritage? Or is it just some indefinable gut feeling which everyone recognizes but which few can put into words? Author Peter Daniels goes in search of the answer through his own life story as a Llanelli exile, through the thoughts of many of Wales' talented writers and historians, but most of all through the eyes of the London Welsh - fellow Welsh learners at the London Welsh Centre and London Welsh rugby supporters at Old Deer Park. Their experiences will ring true with many, both within and outside Wales, who have grown up in the fast-changing and often turbulent times of the last fifty years as a small nation struggles to define itself. They all share one thing - a burning desire to preserve their Welsh ancestry.